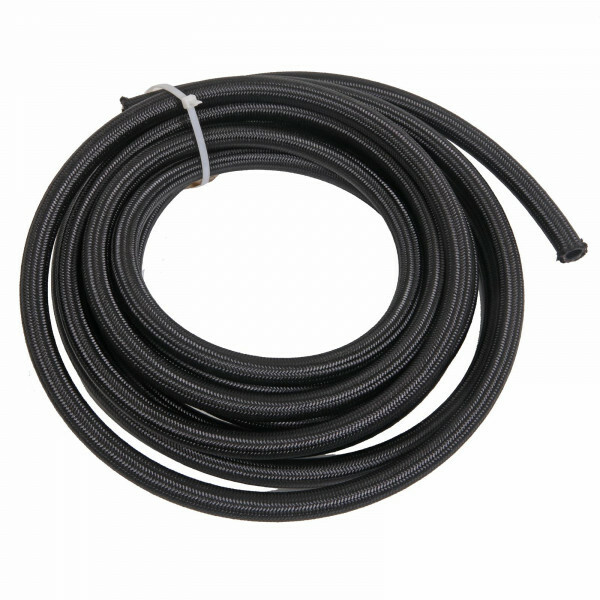 "Schlauch Nylonummantelt AN, Serie Black Nylon"
Hose Inside Diameter (in): 0.344 in. Quantity: Sold by the foot. As a rule of thumb when selecting AN Hose to replace a given size automotive hose, the dash size is the nominal size 1/16”. Example -10, is 10/16” or 5/8” Automotive hose. The AN hose will be slightly smaller due to the thickness of the hose.